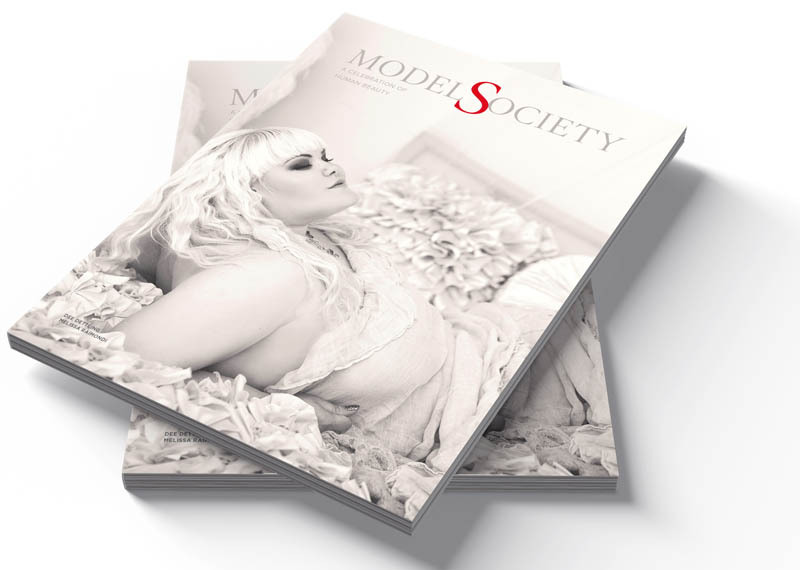 Dee Dettling shares an inspiring personal story about the challenges and rewards of being a plus-size model. 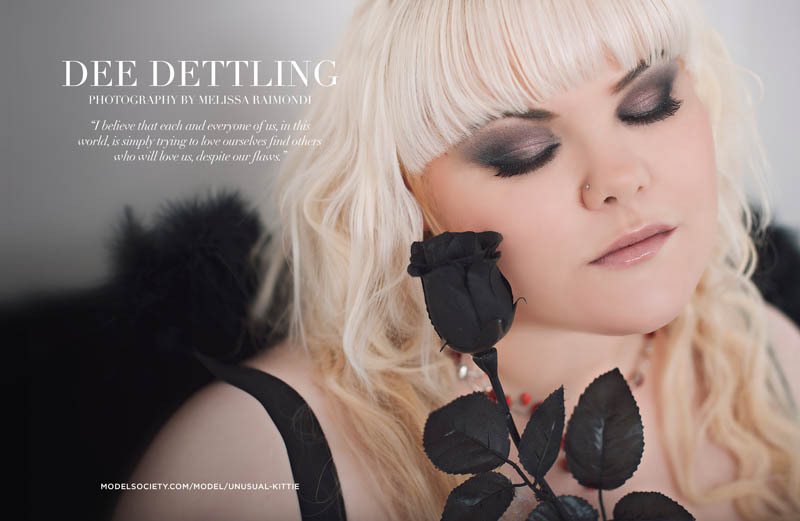 In this gorgeous boudoir style series of images, Dee sends a message to curvy girls everywhere. I have been bullied, ever since I was a little kid. In cruel and subtle ways, I was constantly told that I wasn’t good enough, that there was something wrong with me. It was painful and did a lot of damage. It would have been easy to believe all the horrible things people said about me. 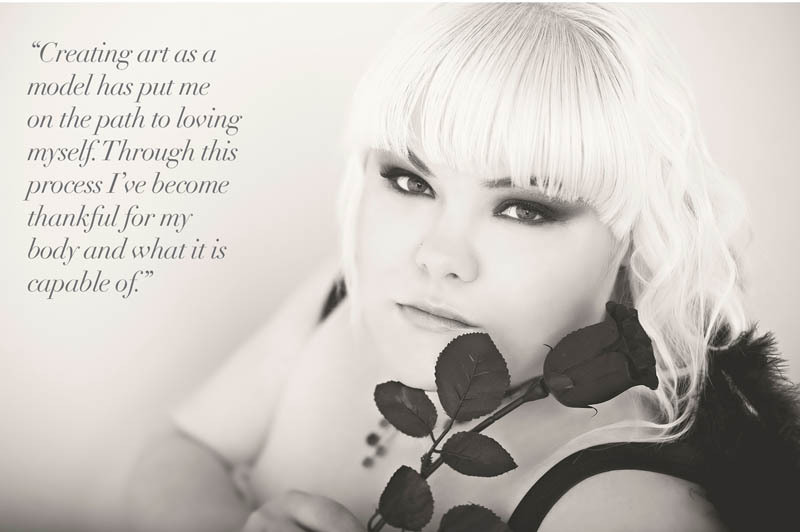 As a model, creating art has put me on the path to loving myself. Every photo shoot has been a new learning experience, an opportunity for self love. Through this process, I’ve become thankful for my body and what it is capable of. The most important relationship in my life, is the relationship I have with myself. 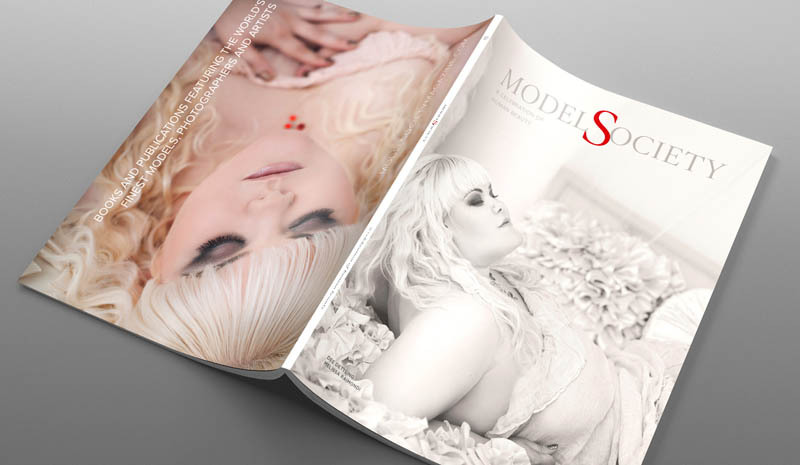 As a model, what really matters is what I think of myself. That’s what people end up seeing in these images. My family, friends and dog teach me daily that it doesn’t matter what others think of me or my body. The hate and jealousy people direct towards others is usually due to their own insecurities. You have to be unhappy about something in your own life to try and bring people down. I am so thankful to have people in my life who accept me for who I really am. and insecure people may say about them based only on appearance. I hope other plus size women will see my art and gain more confidence to believe in themselves and their own talents. The opportunity to be published in a magazine has been a dream. I never thought it would happen. I have had many people try to stop me because I was not thin enough, beautiful enough or good enough to be called a “model.” I am so proud of myself for not listening to those voices. I still struggle on occasion with my self image and sometimes have to take it one day at a time. I am thankful for the people who have followed and supported me since the beginning. They see something in me that transcends judgment and body shame. They inspire me to keep going and never give up, no matter how hard it may get. To everyone who may feel outcast, I want to say … don’t let bullies stand in the way of your dreams. Embrace your curves and your imperfections. It is not your size that defines you! It doesn’t matter what negative things people have to say about you. Learn to have faith in yourself and in your abilities over others’ opinions.